2. a person of the same age, status, or ability as another specified person. In the EASA Opinion 14/2016 that amends the European legislation in the light of the findings of the Germanwings Task Force, a large focus is put on pilot support. While pilot support defines a rather large scope, during the discussions within the Task Force, as well as afterwards, the main focus has centred around Pilot “Peer” Support. EASA echoes this by introducing a number of amendments in the form of Implementing Rules, Acceptable Means of Compliance (AMC) and Guidance Material dealing with Peer Support. By nature, the pilot profession shares some attributes with other professions such as medical doctors, surgeons or lawyers. They all operate in a very peculiar environment, need to be decision-friendly and bear a clear legal as well as ethical responsibility and accountability that is not dischargeable to a 3rd person or entity. By nature, the pilot profession shares some attributes with other professions such as medical doctors, surgeons or lawyers. As such, pilots usually are suspicious of a hierarchy whose authority does not stem from a similar professional experience and background as our own, (another trait we share with the medical profession, among others) while we are much more open to criticism or review from people who share our professional background, our “peers”. Pilots have life experiences and stresses due to the peculiarities of their profession, such as shift work, extended periods away from home, burdens on family and friends as well as a sometimes limited social life. They are usually much more at ease discussing these issues with colleagues. Peer Support takes advantage of this by offering the pilot a way to seek help without feeling unduly exposed to either the regulator or the company and the risk of losing their medical, licence and, by extension, their livelihood. Being able to approach a trusted peer with a personal issue (that might develop into a potential safety issue), knowing one will be guided towards any required help and assistance whilst being guaranteed the necessary confidentiality, will, for a lot of people, be a determining factor in getting help. Peer Support takes advantage of this by offering the pilot a way to seek help without feeling unduly exposed to either the regulator or the company and the risk of losing their medical, licence and, by extension, their livelihood. 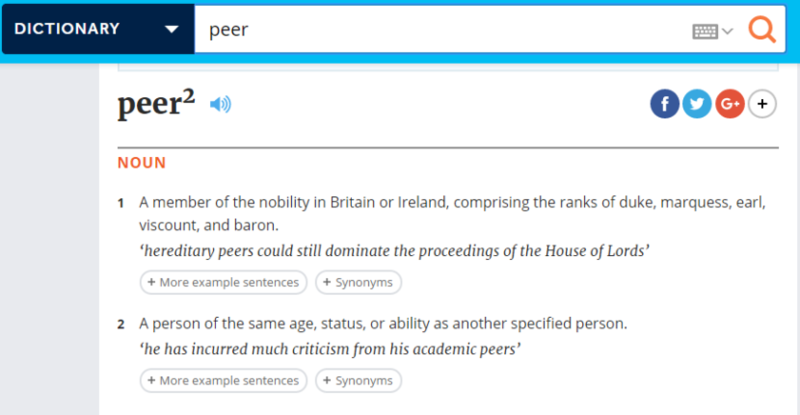 Similarly, being approached by a peer expressing a possible concern and being offered help, has shown much better results than being approached by hierarchy, which is often perceived as threatening and a reprimand. Selection is certainly a vital criterion for a successful program. Peers need to be carefully selected based on their personality, such as possessing good people and social skills, as well as the ability to listen, empathise, and avoid the temptation to impose solutions. They should also be “members in good standing” with the pilot community, meaning that they should be trusted and respected for their professional attitude and behaviour. It is important that the selection process is transparent to the pilot community and is not seen as selecting peers based on management preferences. Some operators might be tempted to nominate the base captain or safety officer as trusted peer and be “done with it”. It must be understood that this will undermine the credibility of any Pilot Support program and probably render it useless. Peers should not – under any circumstances – be management pilots, as increasingly their role seems to be focused more on the economic and productivity side of the operation than on the human side. As this is also the perception of many pilots, and given the natural link to the managerial hierarchy, it is highly unlikely management pilots will be able to generate the trust needed for a peer support program to function. At the same time, their backing for and promotion of such programs is essential. While peers should not hold any additional managerial functions, they should also not hold any political function within the Pilot Association. Nevertheless, involving the Pilot Association in both the selection process for peers as well as in the oversight of the Peer Support Program will undoubtedly make it easier to foster the necessary trust for the program to be effective. Once chosen, the peers need to receive adequate training as well as regular recurrent training in order to stay abreast of developments and share experiences from within the program. Finally, and this can’t be emphasised enough, peers are only the “visible” part of the program, the “connectors” for pilots to talk to and get help. Behind the peers, there needs to be a support structure with psychologists and medical doctors that will ensure that the pilot will get assistance, help and if required treatment that will allow them to get back into a cockpit as a well-balanced, functioning, safe crew member. The biggest challenge in aviation safety today can be summarised as trying to come to grips with the inherent weaknesses of the human element while at the same time fostering its many talents. As such, the concept of Peer Support, by focusing on the human, should be seen as a logical step in that direction because while Peer Support Programs do have a certain welfare and social aspect to them, they are essentially a Safety Management Tool.